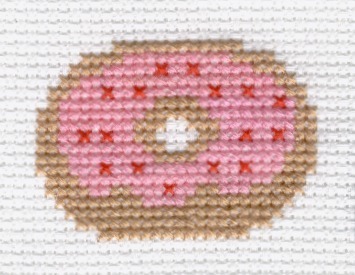 I love creating cross stitch patterns as much as stitching them. Enjoy the variety of free patterns you find on this page. Finished size on 14-count aida is 1-3/4" x 2-1/4". Finished size on 14-count aida is 1-1/2" x 1-1/2". Click Here for full color printable pattern. Finished size on 14-count aida is 1-3/4" x 2". Click Here to view larger photo and alternate colors. 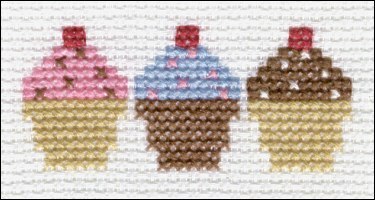 Free Original Cross Stitch Patterns - Misc. 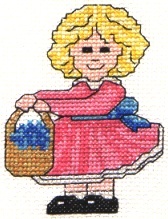 click for larger image Finished size on 14-count aida is 1" x 1-1/4". Click photo to view larger image with alternate colors. 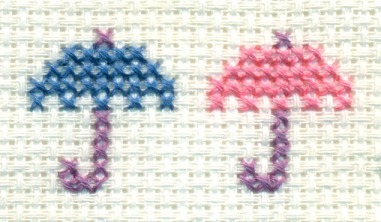 Measures 1-1/4" high by 1" wide when stitched on 11ct aida. Pattern is quick and easy to stitch, with no 1/2 stitches. May be stitched in any colors desired. 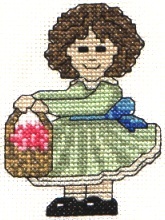 click for larger image Finished size on 14-count aida is just under 2" wide x 1-1/4" high. click for larger image Finished size on 11-count aida is 2-3/4" x 2-3/4". click for larger image Finished size on 12-count aida is 2-1/2" x 2-1/4". 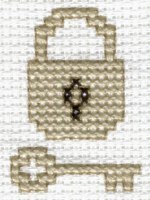 click for larger image Finished size on 11-count aida measures just under 1-1/2" x 2". Finished size on 14-count aida is 1-1/4" x 1-1/4". Finished size on 12-count aida is 2-1/2" x 2-1/2". Finished size on 14-count aida is just under 2" x 2". When stitched on 14 ct aida, the seashell measures just under 2" square. The photo shows seashell stitched with ecru, gold and copper colored threads. When finished, each umbrella measures just under 1" x 1" on 11-count aida. 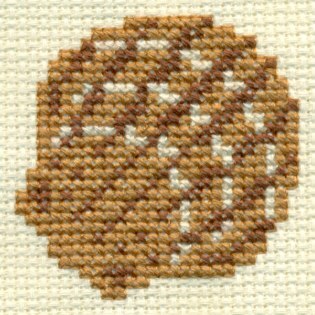 Pattern measures 2-1/2" high by 3" wide when stitched on 11ct aida. 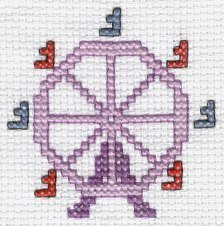 Pattern is quick and easy to stitch, with no 1/2 stitches or outlining.